Wounded people make great lovers. In the new Brain Wilson biopic, Love and Mercy, one particularly powerful scene comes in a confrontation between Brian’s legal guardian Gene Landy and Brian’s new love interest, Melinda Ledbetter. As he tries to scramble through all of his justifications for the various medications and restrictions he’s placed upon Brian it becomes clear that Gene isn’t going to succeed in convincing Melinda that he has Brian’s best interests at heart. As Melinda begins walking away from the conversation, Gene pulls out more coercive tactics of intimidation. “I know you, Melinda Ledbetter,” he sneers, and he lays out a laundry list of details he’s collected about her life. A failed modeling career. Relationships gone awry. Her subsequent employment as a car dealer. He tries to paint a picture of her as a total failure, to undercut any power she might have to question his authority. But it doesn’t work. She gets in her car and drives away, more determined and sure of herself and what her love of Brian is telling her about his mental health. Gene’s tactics are as old as time itself. One way to undercut an enemy is by making all his weakness plain. Yet for Melinda, it isn’t clear that her former wounds are sources of weakness at all, in fact she seems to be guided forward by a powerful strength. Her character is played by Elizabeth Banks, who portrays her with a nuance which speaks of the power to grow from vulnerability and hardship. In an earlier scene at a dinner double date, Brian begins recounting stories of the abuse he suffered under his father. Brian seems unaware of how uncomfortable his story is making his bodyguard and his bodyguard’s date, and eventually those two leave the table. But Melinda leans closer in. She listens intently and compassionately. And suddenly one of the questions which has been hovering over the film to that point becomes clear- what could this beautiful woman want with a man of such apparently deep psychic distress? Something in her has the ability to love him where he is. And the touch of sadness which Banks lends her speaks of that something being old, wounded, at the very least familiar with the pain which she sees mirrored in the broken man across from her. Her love becomes fierce and great, she becomes the lover of his soul which Brain desperately needs to help navigate him out of the abusive relationships which have been picking him apart. She loves him from a place of freedom, from a willingness to let him and everything else go for the sake of that love, from wounds which she has already long since suffered and survived. Wounded people make great lovers. 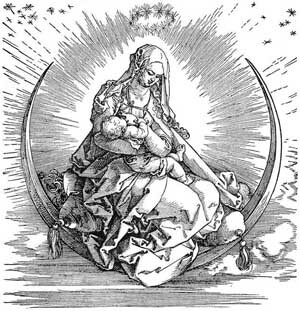 The Sixth Sunday after Pentecost — July 5th, 2015 — the Rev. James Joiner from Christopher Craun on Vimeo. Wounded people make great apostles, too. In his correspondence with the Corinthians, Paul speaks of a wound which he has carried with him throughout his ministry. “To keep me from being too elated, a thorn was given me in the flesh.” This verse has mesmerized generations of Paul scholars. What kind of thorn exactly? Some have wondered if he was talking about some kind of speech impediment, or some kind of limp. Elsewhere in this correspondence, Paul compares himself in physically unfavorable terms to the so-called super Apostles who have dazzled Corinth with their attractive new interpretation of the Gospel. Others have wondered if the “thorn” Paul speaks of is an urge towards the very kind of alleged sexual immorality which he rails against in his letter to the Romans. Keeping our attention on the passage at hand, however, might reveal a more specific kind of wound. Paul has been speaking of someone else he knows who has been caught up into the third heaven, and another person who was caught up as far as Paradise itself, in other words, people who have had profound religious experiences of a heavenly life with Christ. Speaking of such experiences could have been a way for such persons to gain authority for themselves when addressing other Christians about their faith. Paul has had his own transcendent religious experience on the road to Damascus, but maybe it’s been a while. When the Lord last appeared to him it was a humiliating experience. He was confronted with his persecution of a people whom he didn’t understand and left blind for days, at the mercy of one of the very people whose life he had threatened to wipe away. Paul’s religious experience of the risen Christ was far from a beatific vision. Perhaps the thorn is trying to teach about the faith from a place not of glorious religious strength, but of having had to admit how wrong he was. Perhaps the thorn was having only seen the risen Lord once in a vision, at a time when he was causing pain to those whom the Lord loved, perhaps the thorn was having to continue in his work without such revelatory reassurance. Whatever it is, he pleads to have the thorn removed. But God will not. “Power is made perfect in weakness,” God tells him. And “therefore I am content with weakness,” Paul proclaims. Whatever Paul’s wound is, it brings him closer to the knowledge that the power which moves through him is not his own. The power to heal, the power to teach, the power to travel and proclaim good news in dire situations. Paul’s own wounds allow him to see the wounds of Jesus as the vehicle for God’s true power. Not in strength which the world understands, but in the power to share pain in freedom, willingly, to be vulnerable to one another’s hurt and our own. Wounded people make great lovers of Christ, because wounded people show Christ’s openness to the pain of the world. Wounded people make great apostles. And all of this may be because wounded people can connect. Another film from the Summer is Inside Out, which tells the story of an eleven-year-old girl’s traumatic move to a new city from the perspective of her personified emotions. As she moves from one scene to another we see inside her mind where her five principal emotions take turns at the wheel: Anger, Sadness, Fear, Disgust and Joy. Joy has spent most of Riley’s life at the helm, but as the move takes one unexpected turn after another Joy and Sadness find themselves relegated to the further reaches of Riley’s mind. On the journey back they encounter many more of Riley’s mental facets, including Bing Bong, Riley’s long lost imaginary friend who also holds some important keys to a more speedy return to headquarters. But along the way, Bing Bong finds himself grieved at some losses which have diminished his own place in Riley’s imagination. Joy is flustered. She’s already had to drag Sadness most of the way so far, and now their ticket out is slowing, too. But Sadness saves the moment when she is able to go over and relate to Bing Bong’s grief. “It sounds sad,” she says. And after a minute, the two are ready to pick up and continue with their journey. 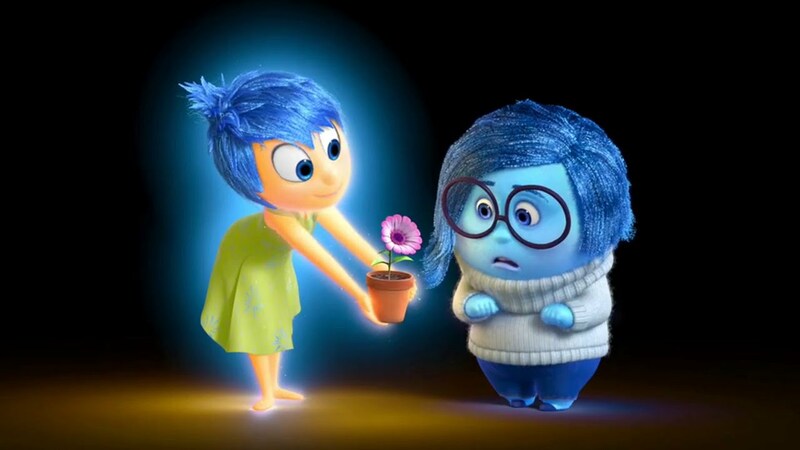 It is the first moment in the film where we see that Sadness has a role in driving forward positive connection and change, too. Part of Joy’s discovery is how deeply the wounds of Sadness have been interwoven in Riley’s life to date, and how essential they’ve been to Riley’s capacity to connect with others and with Joy herself. As the film continues, the relationship between Riley’s Joy and Sadness becomes more complex and interwoven, and ultimately brings the prepubescent girl into a whole new stage of her emotional development. Wounded people can connect. But why am I telling you all this? Because often our initial responses to wounds in ourselves and in others is to recoil. In Inside Out Joy tries to shoo Sadness away from interfering in any business deemed too important. In Love & Mercy Brian’s legal guardian does everything in his power to hide Brian’s wounds from the public with over medication and isolation. When we speak of “damaged people” we do so dismissively, as a warning, as something to avoid. Yet Paul speaks of his own wounds as a prize, the key to understanding a wounded God, a God who can connect with our woundedness, whose power is in that empathetic connectivity. May it be so for us. May we not fear our own brokenness, may it be a bridge to God and one another.